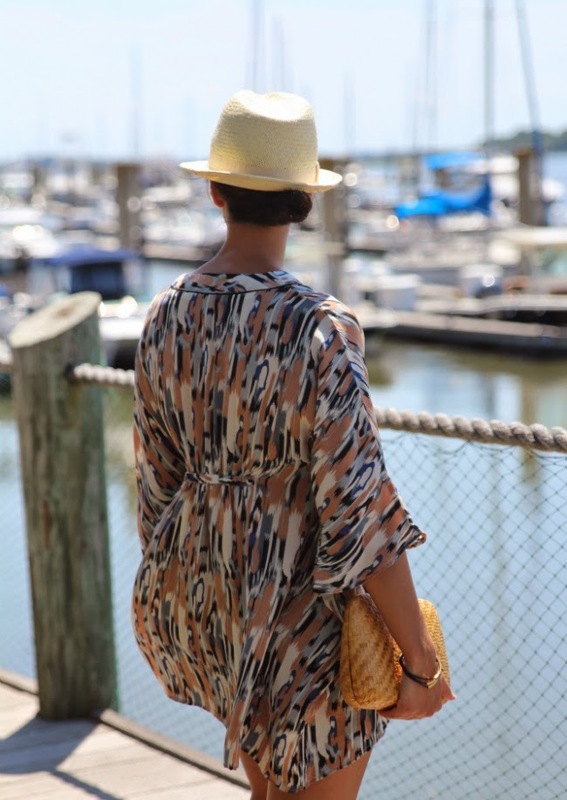 It doesn't get much easier than an oversized tunic on a hot summer day. 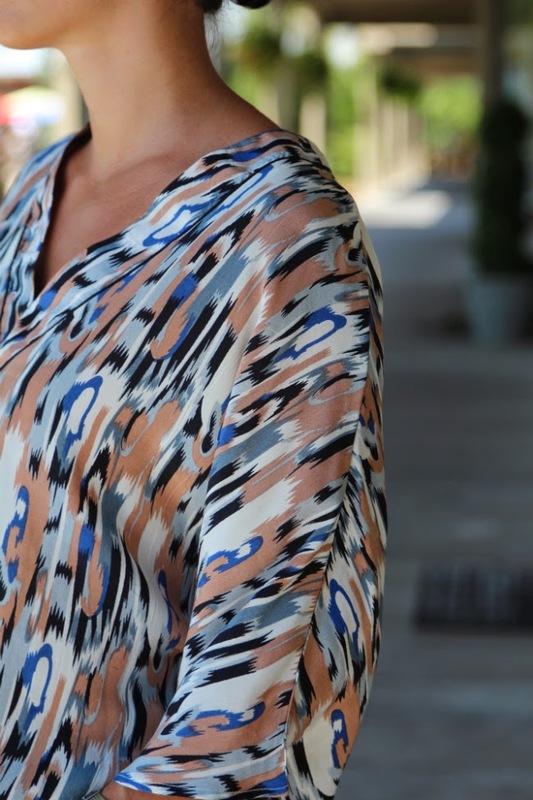 I scored this Tolani silk number at a local boutique sale and it was one of the best purchases I've made this summer. Dressing in ninety-plus degree weather means no muss, no fuss. 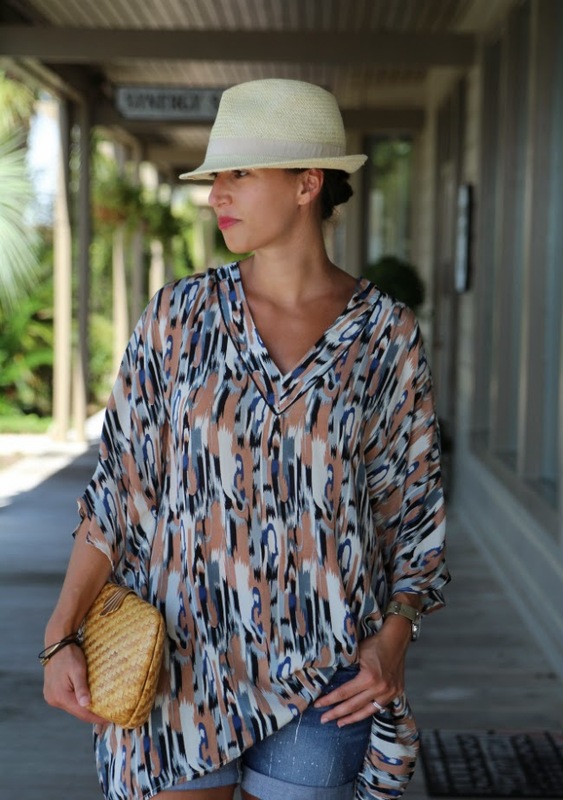 A tunic is ideal because you can wear it as a top with slouchy shorts or throw it on over a bathing suit and call it a day. This fedora is getting a ton of wear because who really wants to do anything with their hair in the summer? Not me. 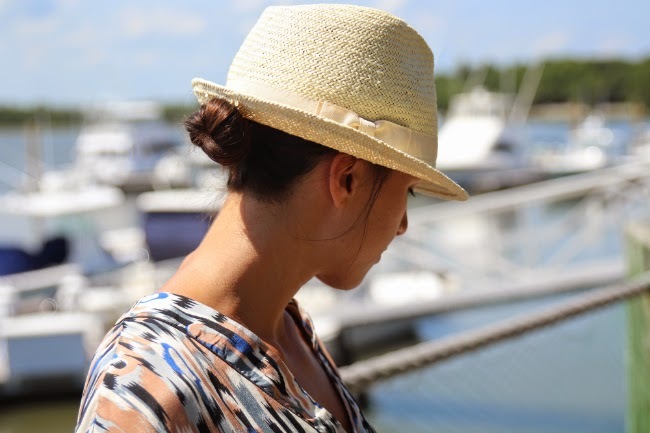 Tolani makes colorful, easy to wear pieces that are ideal for summer. You can check them out on their website and also shop them at Anthropologie. For my local girls, Pink Hanger always has a great hand selected collection of Tolani in store. You can shop my favorite Tolani pieces and the post right below. Don't forget to enter the giveaway for the chance to win a $500 Visa Gift Card. Tolani for everyone. 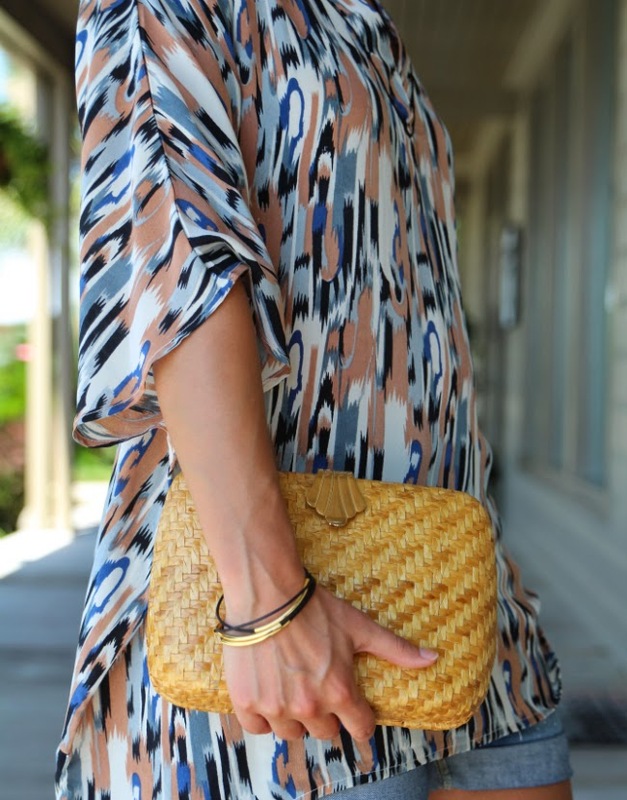 That tunic is gorgeous! Definitely summer perfection in a top. That tunic looks amazing!! Sometimes, a drapey look is best! Luurrrvee that top! Perfect print!